It is of concern to the staff and specifically those involved in the Keeping of Big Cats at the zoo that the clarity of detail regarding the actual situation that occurred on 24th May 2013 and the subsequent Court proceedings are not being presented fairly or with the correct facts in relation to the actual events leading up to the tragic death of Sarah McClay. If the Zoo world as a whole is to learn anything from this incident the true facts as presented to a Jury at the Inquest need to be reiterated and reminded to those concerned and the visiting public. We shall not learn if the truth is hidden or avoided. The Company pleaded guilty to failing to have in place a pro active maintenance regime that involved regular checking of the Tiger house facility by a maintenance person as the company had relied for 18 years with approval of the Local and National authorities on a reactive approach relying on Keeper staff to report any issues for action. It is suggested a proactive approach may pre empt an issue occurring. The company accepted this situation. There is now a pro active regime and has been for a long while now. However only 4 days before the accident the Barrow Borough Council Health and Safety Officer and DEFRA Zoo Inspectors passed the Risk Assessments as adequate for purpose and the maintenance regime as accepted. We always felt we had approval of our practices but we have found that because “experts” say they are good does not mean in the eyes of a Court they are. The company did not plead guilty to having a faulty door or mechanism. nor did it accept that the mechanism was there to protect staff or could be relied upon for safety. We wish to make very clear that self closing mechanisms were only on the tiger house doors and not on any other big cat house doors and only on the Tigers as a quarantine requirement and certainly not as a safety mechanism. It was very clear from all documentation presented both to the Inquest and the Court that there was a clear defined and signed for protocol for operations of doors within the Tiger house. The training of staff was commended and clearly well documented. We wish to make clear that ALL staff working with any dangerous animal would never rely on a self closing mechanism to provide safety or protection from a Big Cat. Even when a door is closed with a self closer it is not secured nor safe in any way. A tiger could open that door easily if not locked by padlock and bolts and we shall never know whether the door was left wide open or it was simply just not bolted and locked . But it SHOULD have been locked . The zoo had a very clear safety protocol for the safe operations this defined the working practice “when leaving a tiger den the door MUST be closed, the two bolts fastened and the padlock inserted and securely locked before leaving or before any other action. This is the key issue that there is no provision in the procedures to allow any door to just self close and be deemed safe or effective in preventing tiger escapes it absolutely MUST be bolted and locked. It is abundantly clear from all witness evidence that in this tragic instance Sarah was working in the “dark den” cleaning and then left the den with Emma Els who then left the Tiger house completely. .
What happened next is that Sarah went to the “light den “ and cleaned that den . Sarah left the “light den” then, without checking all doors and locks for absolute security as written in the operating procedures , she inexplicably decided to open the slide to the outside enclosure by using a key to unlock a padlock and then opening the steel plate slide allowing the tigers access into the “light den” of the tiger house. The next decision was to decide to open the steel plate slide to the “dark den” by once again using a key to open a padlock then pulling the slide to allow the tigers into the “dark den” . Critically this was the third error in sequence that sadly allowed the tiger access to the Keeper corridor. The door was not securely locked and padlocked, the slide was opened and the second slide opened. If Sarah had not done any one of these three actions the Tiger could not have accessed her in the corridor. It was a tragic set of errors to make but there were many safeguards and opportunities to prevent that tragedy and the failure to physically close , bolt and lock the door as is clearly written and directed in all training and procedure was the last defence and certainly not a self closer that was not there for any safety reason . The assumption that a working self closer may have prevented this tragedy has been made. However as stated earlier never would a big cat keeper ever suggest that a working self closer alone provided any protection from a Big cat inside the den. It was never proven that the door was left fully open or the self closer did not in fact work or the door closed as far as the spring bolt possibly left out by Sarah. There is no agreed protocol that any bolt should be used in this manner. Serious errors of judgement or simple mistakes or failures to follow safe practice is the cause of many a tragic outcome in all areas of life and not least on our roads. We are not aiming to blame or cause issue here but the public need to be aware that we do have very robust, clear and well versed safety working practices that when adhered to are safe and effective. 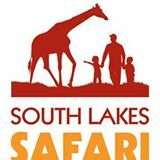 It is therefor difficult for the Zoo , its staff and all here who strive for safety in all areas to accept any suggestion that Zoo was primarily responsible for Sarah’s death as all protocols and protections were in place and there should never be an acceptance or reliance on any self closing mechanism when safety is paramount. Indeed the Court made that clear that the door mechanism was not the primary cause but Courts are directed not to blame victims so that was never going to be stated. The mechanism that is only suggested may have not worked correctly on that day is an assistance to close a door and certainly not a safety tool . The Door should have been securely closed, bolted with two bolts and then a padlock fastened closed before any further activity or opening of doors or slides. We deeply regret the accident that occurred and do not wish to lay blame on anyone for this awful outcome , but as the zoo is the victim of clear misrepresentation of facts in the media as to the cause of this accident we feel it right to protect the staff concerned and working with the Big cats today by clarifying the very strong safety regime that has always been in force in any Big Cat house at this zoo. Secondly, the plea of guilty to the charge that the risk assessment for the use of the entrance door to the tiger house in an emergency was not sufficient to prevent the public being at potential risk was made based on hindsight and with the knowledge that there was a minimum of 14 DEFRA Inspections and many other Barrow Borough Council officer inspections of the tiger house and its means of entry and exit . On no occasion in 18 years of inspections did any one suggest that our risk assessments or protocols were potentially dangerous. In fact 4 days before the accident the Tiger House and its risk assessments were examined by DEFRA and Barrow Council officials and given clear approval. It is therefor of great concern not just to this company but it must be to all zoos in the UK that the HSE guidelines we complied with in full and the Defra Inspections failed to warn us or see the risk along with this company the potential dangers from an escaped Tiger/big cat into the keeper corridor and the resulting inability to access the area without opening the door thus potentially placing public at risk. We have subsequently in 2014 changed this design to incorporate all the features required to satisfy the safety of the public , however there are many zoos in the UK that still work to the HSE guidelines and do not have doors that provide the safety aspects that were highlighted in this case. so whilst the company pleaded guilty it was working on the assumption that so many experts and Council officials must be right and this was clearly not the case. At no time in any of these events was there a tiger in that corridor when the door was opened and never was the public placed in that risk. However it is accepted that the risk did potentially exist and we acknowledge that issue fully but no inspection ever saw that issue in 18 years. Risk Assessment is a difficult area of working practices in business and knowing it is correct or fit for purpose relies on others to give an opinion. There is no set standard and clearly the missing out of the word “Door” from our assessments and protocols by just saying “Slides and locks” was a very expensive error to make. the changes made are simply to have a person go into the housing on a regular pattern to sign off the facility as safe to use as opposed to relying on the keepers them selves to report any maintenance needs. The media criticising the management or the Health and Safety person at the Zoo is unfair when they had been told they were doing a great job and to the right standard. There are no other safety issues, when the walkways were questioned and the new standard being applied was deemed to expensive to put in place we immediately responded in the public interest and demolished them all within weeks. Our record of public safety is excellent and we have dedicated staff who are all very perplexed at how a story can be so twisted to suggest the zoo is inherently unsafe when at no stage did any one suggest closure, change or any other order. the Tiger house was deemed as perfectly safe to operate from the day of the tragedy until over 1 and half years after the event when we modified certain aspects of the unit during our expansion programme. The staff and management at SLSZ Ltd are conscientious and dedicated to providing a safe work environment and a safe, yet exciting visit to the public. We hope you take this as intended, not to defend ourselves at all but to at least inform the public that what took place was in the control of Sarah and we are left with the negative publicity and fines. Sarah s photo is up in our brew room and we will not forget her, but she would want the truth and not cries from anyone to close the zoo or claims we were unsafe. she would want lessons learned and the conservation mission to go from strength to strength. She was positive not negative and we will always remember her like that.